No, not that kind of weight. Wet clothes weight. Brett and I went running yesterday morning, thinking we would beat the rain. Well, we didn’t – but we didn’t mind. Because we knew we’d get drenched if we walked to the park, we opted for the closer, less desirable route along the East River. Regardless – it was raining when we headed out. No big deal, the air temperature was about 8 Celsius and running in the rain adds an extra “cleanse”. So along this route, we have a few hills to tackle. Again, not a big deal, getting used to them. What I felt was a bigger deal were my heavier-feeling pants. The extra weight of my rained on pants felt almost substantial enough to … make a difference in my run. Realistically this is BS right? But – I really felt like I was lifting a few extra pounds on my legs! You know what I mean right?? I admire you and Brett. 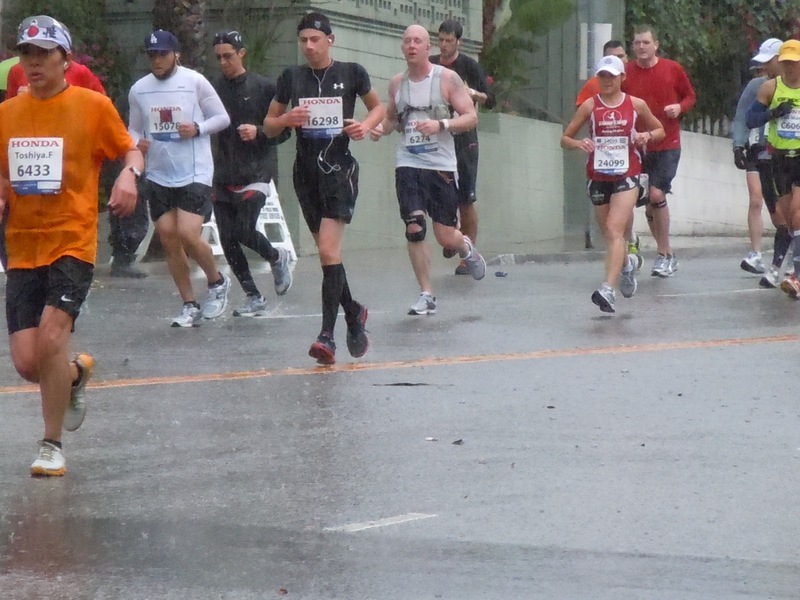 Yes, your wet pants would feel like extra weight making that much more of a challenge to your run! !